A few weeks ago I shared with you my turmeric tea latte (aka golden milk) recipe. But I’ve gotta be honest with you —as simple as it is to make, I’m still on the lookout for ways to make my life just a little bit simpler. So I started testing out some of the options out there to see if I could find something that would have me spending less time making lattes and more time working on my pull-ups and double unders. Here’s what I found. 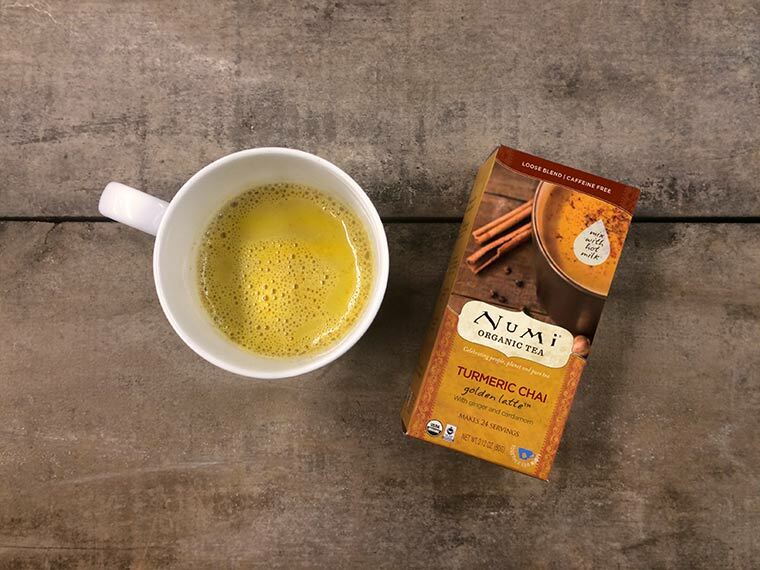 Out of the three options I tried, the Numi Turmeric Chai was my favorite. It has a spiciness and peppery aftertaste that’s very characteristic of a good chai — and which I happen to love. The preparation was really straightforward: heat milk (or a dairy substitute) in a saucepan, add a heaping teaspoon of the tea mix, then stir it up and sweeten to taste (I used a little agave nectar). 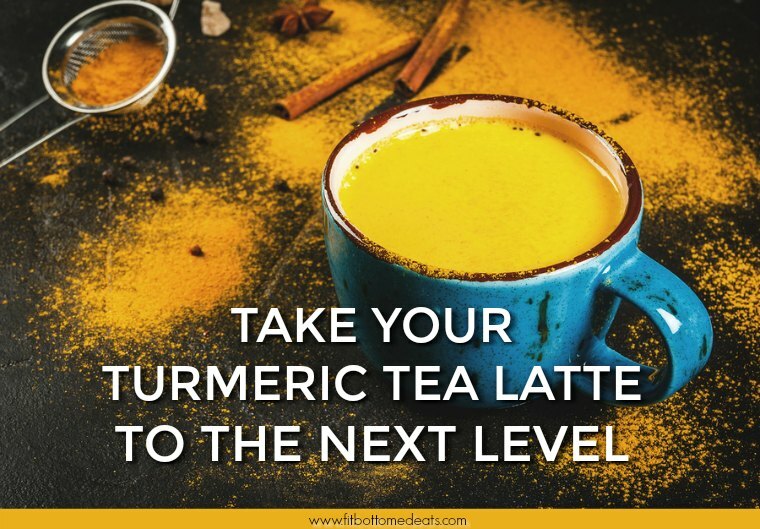 It does have a strong aroma and taste of turmeric — so if you’re looking for something to neutralize the turmeric flavor, this is not the tea for you. There is some settling that occurs at the bottom of the mug so be sure to swirl or stir your latte regularly or the last swig will be extra spicy and a little gritty. All in all, I enjoyed it and thought it would make a great evening beverage as it had a nice warming/relaxing vibe to it — but I also enjoyed it iced. I wasn’t sure how the Turmeric Cocoa was gonna go, if I’m being real. 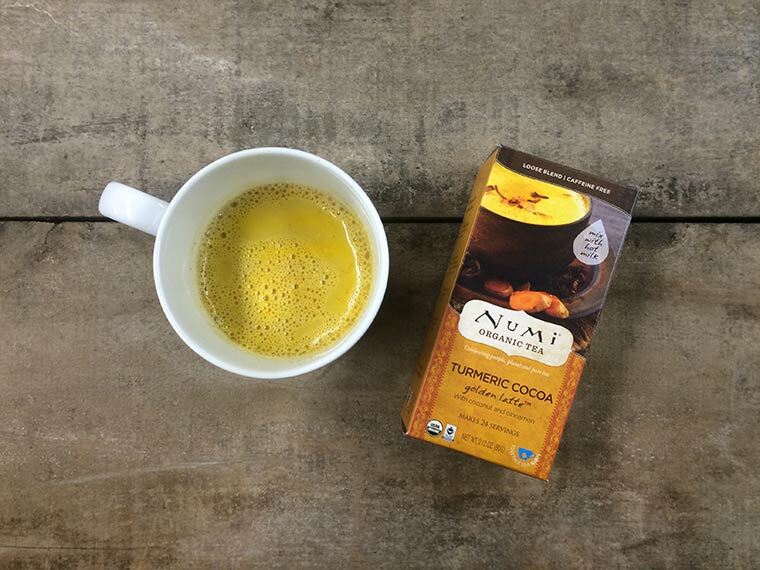 Turmeric and cocoa didn’t really sound like a match made in heaven to me, but I was pleasantly surprised. I sweetened it with a little raw honey and found it quite tasty. It’s got a smooth finish with no turmeric or spicy aftertaste. It even smells good. The cocoa isn’t super rich but I found it to be just enough. It could definitely be a great addition to smoothies or smoothie bowls. This one’s an awesome option for people who want the benefits of turmeric but don’t necessarily want the taste of it all up in their taste buds because the cocoa really cuts the turmeric flavor. Like the Chai above, it’s super simple to make. The packaging makes it easy to store and you don’t have to worry about keeping fresh ginger and turmeric root around. Another bonus: the ingredients are all organic and 75 percent fair-trade sourced. 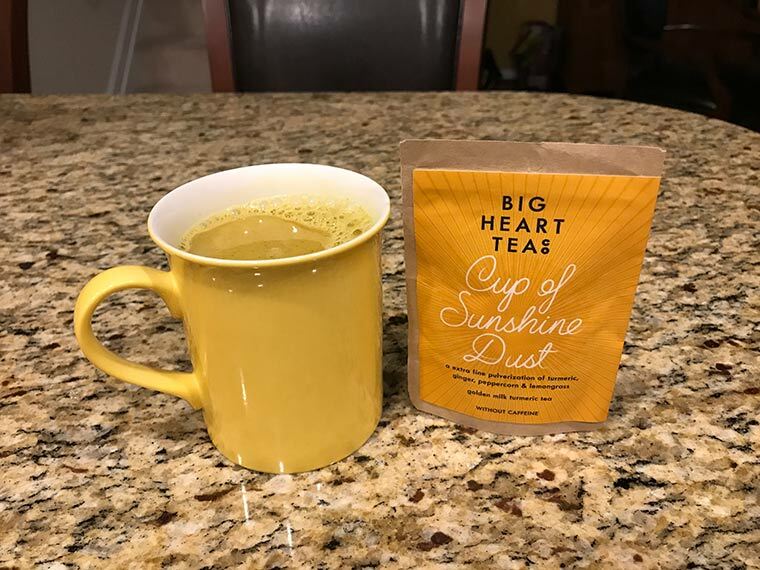 The name of Big Heart Tea Company’s offering drew me in. Who wouldn’t want to curl up with a cup of sunshine dust, right? This was the smoothest texture and there was definitely less settling of the spices at the bottom of the mug. It’s very peppery though; in fact, the peppercorns were without question the predominant flavor. I sweetened it with some raw honey. Preparation isn’t difficult, but it is slightly more complicated than the other two options — it involves taking a teaspoon of the powder and mixing it with a few drops of water to form a paste, which you then add to your heated milk. Just like all the other options I tried, there’s no sugar so you can sweeten it to taste with whatever you like. I really liked the addition of the lemongrass . Since it doesn’t have the cinnamon, cardamom, and nutmeg like the other options I tried, it’s a little lighter in taste so it would be a great morning option if you prefer your turmeric latte earlier in the day. Personally, I kinda missed the other spices; I think that not having them there to take the edge off just made the peppercorn flavor stand out much more. But for some people, that might be exactly what makes it perfect!